Beginning with the death of his mother, Princess Diana, and her funeral, this is a portrait of Prince William's life to date. 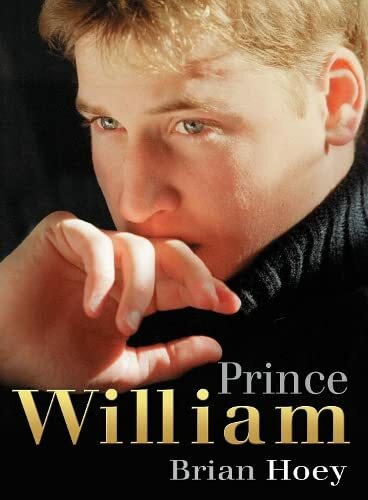 Chapters deal with the life of the Prince, from his birth and babyhood through his years at Eton, gap year abroad, and time at the University of St Andrew. William's private life is examined with details of his girlfriends and other students whom he hangs around with at University, and the way in which he divides his life between university and the highly privileged life of the Royal Family hunting, shooting, country house parties, and his introduction into public life. The planning of his education, including contribution from Chris Patten, a member of the committee that met in the early days to discuss the King's future training, and his training for Kingship, considered through the eyes of constitutional experts Lord St John, Lord Blake and the former Archbishop of Canterbury, George Carey, are discussed, as is the way in which the Queen and Prince Philip have influenced his upbringing. The final chapter deals with William's relationship with his father and brother and also looks at the way in which he has accepted Camilla Parker Bowles into his life. Brian Hoey is the author of several books on maritime and Royal history. His The Royal Yacht Britannia, published in 1999, is now in its third edition. Among his other works are Anne. The Princess Royal, The Queen and her Family, Dians Princess of Wales and Mountbatten. The Private Story. He lives in Wales.